So I’ve slept on that National Address by our leader last night and now, at 3 am, I’m up with a hole in my stomach at what is happening to my little beloved country. Friends, has that national address sunk in? We have a situation where, the laws of the land, the Constitution no less, enshrines pension benefits for all public workers. As it now stands, we need pension reform because an attempt at such by the PRG Government, in 1983, 35 years ago, has been declared unconstitutional by our courts. The first time our courts suggested that the PRG effort was unconstitutional was in 1988, 30 years ago. Then in 1997, in the case of Irvin Mc Queen vs The Attorney General of Grenada, the Court was pellucid in that declaration. Let that sink in. In the 30 years between 1988 and 2018, our current Prime Minister, Dr Keith Mitchell has been Prime Minister for 19.5 years. Let that also sink in. Various people, including Sir Nicholas Brathwaite, George Brizan and Tilman Thomas served as Prime Minister at different times in the remaining 9.5 years. So it is fair to say that no one has had as good an opportunity as Dr Mitchell to fix this. He did not. The first set of public officers to be adversely affected by this in large numbers are now beginning to retire. So the matter has become critically urgent. Without rectification, large swaths of public officers will retire into poverty. Some will literally lose their homes if they don’t find post retirement work to help supplement the NIS pittance. Against this backdrop, on the eve of the last general elections, Government signed an MOU with the unions and the Prime Minister announced to the nation, that they had “resolved the pension issue.” This announcement gave his party a big boost just days before elections. He and the unions knew this. Now, post elections the parties are in dispute as to what was understood and agreed when the MOU was signed and the PM’s announcement made. In short, the unions are saying, anything less than what obtained before 1983 (which according to the decisions of the Courts is still the law of the land), will be unfavourable and therefore unconstitutional. The Government is saying they cannot pay as per the pre-1983 scheme because it will be fiscally damaging to the country. There is nothing wrong or unconstitutional with the parties sitting and working out a formula that will be in line with the Constitution, ie no less favourable than what now obtains, while at the same time, ensuring that the economic consequences are not too dire. It does not have to be 25% or 2%. It does not have to be that all must be paid up front. It just must be a scheme that does not leave the pensioner in a worse off position than he would be if paid under the pre-1983 scheme. What Government cannot do is breach or avoid the provisions of the Constitution, while hiding behind the Fiscal Responsibility Act. That in itself, will be unconstitutional. The unions say that 25% gratuity (an advance payment on pension that is repaid over 12.5 years) was always what they expected to be part of the package. Nothing else was discussed. The government says, no quantum of gratuity was discussed before so they are now free to make proposals and they proposed 2%. Both sides may actually be telling the truth about this because, 25% gratuity is specifically provided for in the law, but can be changed. So the unions may have assumed that they were working with what the law says and the Government may have assumed that the 25% can be changed to something else that is no less favourable to the pensioners, but more manageable for Government. Both parties now appear to have adopted inflexible stances, a recipe for disaster when negotiating. 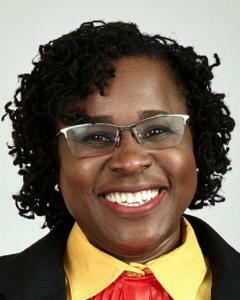 After 4 weeks of industrial unrest, the Roman Catholic Bishop of St George’s In Grenada intervened and a new, more experienced MP was appointed to act as Labour Minister. Between these 2 gentlemen, the unions and Government were coaxed into returning to the negotiating table. In that context, the unions postponed strike action it had announced for today, Tuesday. This certainly was a good faith gesture on the unions’ part. So why then would the Prime Minister, on the eve of the resumption of negotiations address the nation in the tone that he did last night? The Prime Minister was belligerent and uncompromising in tone. He sought to rally the public against teachers and public officers. He sought to decide the outcome of the renewed negotiations in advance by repeating and digging his heels in on Government’s position, thereby, sounding a public warning to all involved, especially the Pension Engagement Committee and the acting Labour Minister. Do it my way or else! At the same time, he openly threatened the teachers that if he didn’t have his way, he will change up our entire education system, setting up mass learning centers manned by he and his ministers and rendering the entire teaching service redundant. As laughable as this suggestion is, we can’t just laugh it off because he did it with a straight face while addressing a national crisis. He even suggested that he and his MPs have already decided what subjects they’d teach once all teachers are rendered redundant and this new system is in place. That national address last evening was the type of stuff that men like Hitler, Mussolini and Mugabe were made of. In times like these, we must scramble for our Constitution and get ready for Court. Oh my! We have no Court building. Our justice system is in shambles. We have 3 judges and 1 temporary civil court! Will we be able to get the Registrar to open the Registry so that we can file documents against the State on a weekend? The Prime Mister gave a truthful on the rocks assessment of the situation devoid of any political motive. Who is truly suffering now.the school children. A compromise has to be reached soon in the interest of the entire Nation. A lot of people do not have a clear understanding of the issues involved. His only intention was to try his best to clarify these issues. I am only in favor of the stability of the Nation. I hope a compromise can be reach between both parties. What a sober, rational and logical overview of the situation. Worth the read! What a sober, rational and logical overview of the whole situation. Its worth the read.